Sad new. Davey Williams Sad news. Davey died last Friday night at 10:30. Or so. His brother,Johnnie,called me t and told me. He discovered that he had a kind of cancer in his lower spine a few years ago. It hurt. His Doctor said that the cancer wouldn't kill him but that they needed to treat it. I'm not real sure about how it all got worse but he had recently started to take chemotherapy. It made him really sick. I talked to him a few weeks ago (he was in their car and Nico Linda was in the Walmart) when told me this. I asked him what the prognosis was. He said he didn't want to ask. He was supposed to have four of them and I believe he may have had the second one last week .About a week or ten days ago things started to go downhill Johnnie said. He was in the hospital when he died. Talk about a sad day. Davey did say once, about dying : ' It's gonna be easy for me and hard for yall.' I expect there was ' har har' and a grin after that. lovegeorge 2 weeks 18 hours ago. George Cartwright shared a post. 1 month 3 weeks ago. Curlew at Jazzhus Montmartre, Copenhagen, as part of the legendary Knitting Factory Tour of Europe in 1992 https://georgecartwright.bandcamp.com/album/curlew Which smokes! All covers by me. Thanks, lots. 1 month 3 weeks ago. I've added some items to my Bandcamp site that I like a lot. One if Curlew at the Walker Arts Center playing JB Lenoir's Feelin' Good. I singandDavey and Tom RIP IT UP! https://georgecartwright.bandcamp.com/album/curlew-feelin-good-by-jb-lenoir 1 month 3 weeks ago. A VIOLENT SATURATION OF EVERYTHING. Saxophonist George Cartwright's prominence in the development of New York City's downtown scene, and lengthy affiliation with the cutting-edge progressive, jazz-rock unit Curlew, spawn an imprint of musical authenticity. 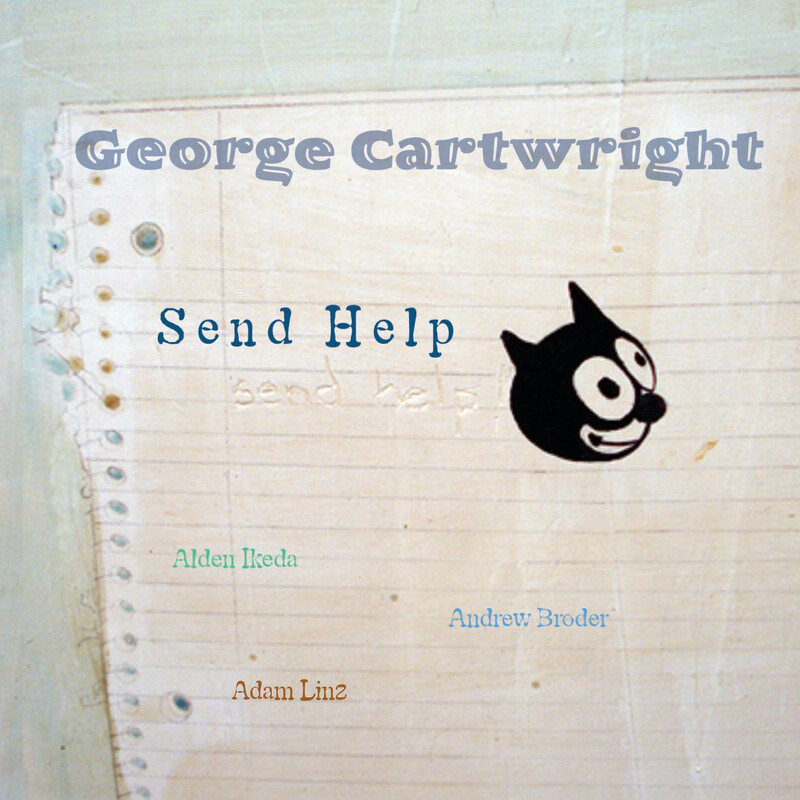 Cartwright surges forward with this 2008, quartet-based effort recorded at The Cedar Cultural Center and The Walker Art Center's festival in Minneapolis, Minnesota, where the Mississippi-born artist takes up residence these days. Raw, wild and often captivating, the quartet also injects a prominent fun-factor into the program. At times, the musicians slam the door on convention via wily free-jazz/rock vamps and gobs of expressionism. Cartwright and guitarist Andrew Broder tear it up with seething choruses built on stinging licks. But they alter the overall pitch and sense of the dynamic due to angular theme-building maneuvers and melodic undertones. They generate more than a few firestorms with frenzied and semi-structured phrasings, as the soloists incorporate a touch of avant-rock amid garrulous improvisational movements. On "The March," Broder, using distortion techniques, and Cartwright terrorize the upper registers. Here, they embark upon a search and destroy mission. Then Broder vocalizes on Bob Dylan's "Oxford Town," and Cartwright's "I Want You To Promise," as the quartet occasionally surfaces as a lower decibel spinoff of Sonic Youth, complete with all the quirky deviations. The band executes high-heat to complement the free-form components while transmitting a singular group-based identity. It's an album that radiates a fluent intersection of concepts. A good time was had by all during the process, which is a persuasive quality that remains a constant throughout.